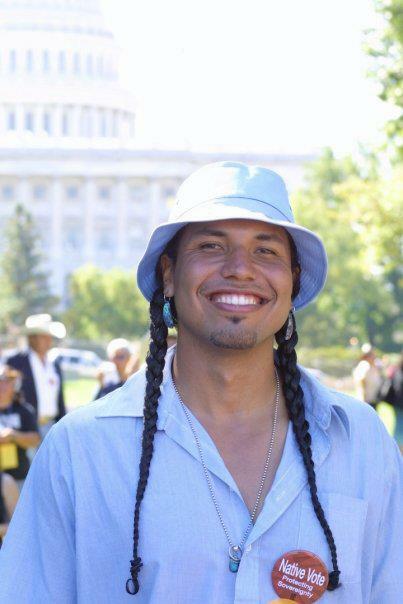 Native American Author Gyasi Ross to Speak on Make No Bones About It. Back to the main point, Ross’s columns. They are an interesting read for the mere fact that they are personal and conversational. He writes about a lot of sundry topics, such as stealing his sister’s diary and formal apologies to Natives from the U.S. government and military service. . So, why is Ross writing these columns? I didn’t ask. If anyone wants to write, I strongly encourage it. I wish more Native people, anyone for that matter, would take the initiative to write about whatever is on their mind, which is what Ross seems to be doing. He’s taken it a step further by publishing it on the Internet. Good job. I strongly encourage other people to do the same. He’s chose to publish on the Indian Country Today Web site. That’s fine. I’d only say that no one needs an established Web site or news venue to publish their thoughts. That is the beauty of independent blogs. Meanwhile, congratulations to Ross for his prolific series, he’s got about a dozen more columns already in draft form as I understand from some of our recent e-mail trades. Gyasi Ross is a member of the Blackfeet Nation and his family also comes from the Suquamish Tribe. He is a lawyer, a warrior, a teacher, an entrepreneur and an author. He is co-founder of Native Speaks LLC, a progressive company owned by young Native professionals which provides consultation and instruction for professionals and companies, as well as young adults. Gyasi is currently booking dates for his presentation, “The Best: An Indian Theory of Existence.” E-mail him at gyasi.ross@gmail.com. This entry was posted in Make No Bones Shows and tagged Honoring, Indigenous, KAOS 89.3 FM, Native American Author Gyasi Ross to Speak on Make No Bones About It., Raven Redbone. Bookmark the permalink.